News flash – the majority of product photography is 80% science, 20% art – and that’s on a good day. Sure, if your business is taking ‘marketing’ images of $20,000 watches that will appear in fashion magazines and on billboards, that single, amazing image that took 2 days to capture with 2 assistants, is all art. But for in-house photography studios that take hundreds of images daily the focus is mostly science. The science of product photography focuses on studio setup, production, workflows, automation, equipment, resources, and software. How can I stay more organized? How can I shoot more products in a day? What techniques can I use to produce consistent high-quality images? What software can help me automate repetitive tasks? In this post I summarize 35 tips that will help you operate your studio more efficiently, produce better quality images, and maximize daily production. Even though you are probably using several of these tips today I am confident this post will offer you a few new techniques and tools that will help you produce good images fast. They know each day and each week what they are shooting. They plan their photography stations (small, large, and specialized), photographers, assistants, studio space, product shipments etc. Planning paves the way for consistent production rates and image quality. Take two studios, put them side-by-side. One follows the ad hoc approach – products arrive at the studio, they shoot what they get, and one day leads into the next. The second starts with a product list, they plan their week and month, they shoot products by groups, and structure studios and photographers based on product types and required skills. They methodically work their way through the products according to the plan. I will bet my house that the second studio crushes the first both from a production and an image quality perspective. Plan, you and your bosses will be glad you did. 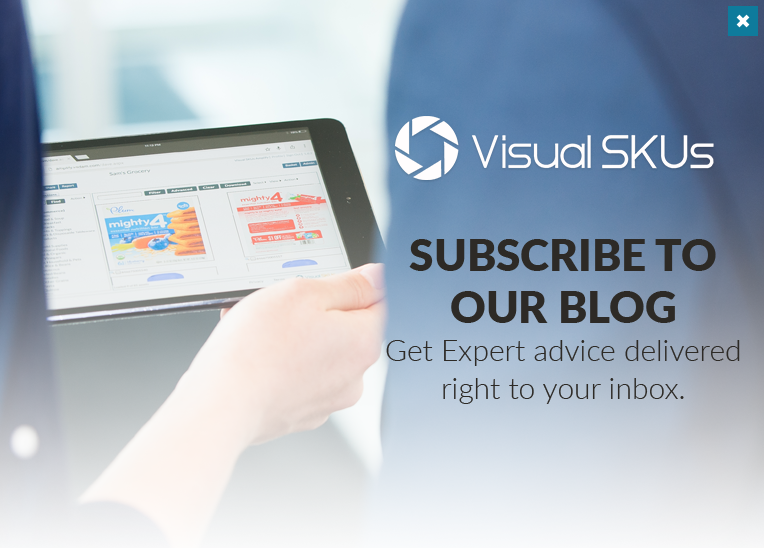 Start with a product list – product numbers, product types / categories, and image views required. Part of the planning process is to group products by the image views they require. This is important because different views can require significantly different camera and lighting setups. Changing your camera and lights is time-consuming, minimize this whenever you can. Group your products by the views e.g. the ones that need top and bottom views are grouped together as are the ones that need close-ups views. This grouping takes time but in the long run you will be FAR more productive and your image quality will improve. 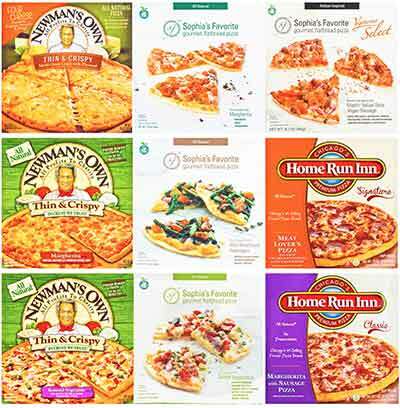 The image above shows all front images of a group of products. It can be very efficient to take all the same views of a product group first, the next image second, and so on. Products that are different sizes and weights need different studio, lighting, and camera configurations. They also require different resources e.g. small products can be shot with just a photographer, large and heavy products require a photographer and a helper. So to avoid wasting time constantly changing your studio setup group your products according to their size and weight. As you did in tip #2 (group products by image views) plan ahead and group your products by size and weight. Here are a few extreme examples of products that are so different sizes, weights, views, and photography difficulty. These products obviously need to be grouped. The muffler kit is huge, heavy, and took considerable layout. The food product, Craker Barrel crackers, size light, small, and simple to position on the table and photograph. Product photography involves moving products from receiving to prepping to photography to waiting for image approval to returning. Maintaining a smooth and methodical product flow from stage to stage is important. You are handling the same product more times than necessary. Your studio space will be cluttered and difficult to move in. It will be hard to locate products you need e.g. for reshoots. Lots of space to move about the studio. Easy to find products you need. Ask any photographer – working in an organized studio is great – working in a chaotic studio is a nightmare. Dirt, dust, and debris – the 3 Ds – are evil when it comes to product photography. They can destroy expensive equipment and cost production time while equipment is in the shop. Dirt on lenses or sensors can show up in the images and cause unnecessary editing or even reshoots. The challenge here is that many in-house studios are located in industrial environments which are inherently dusty and dirty e.g. warehouses and distribution centers. Situate the studio in a vacant room close to where the products are located. If you need to be out in the main area, locate the studio out of the way of the facility traffic. Clean the studio on a regular basis. Maintain your photography equipment carefully. 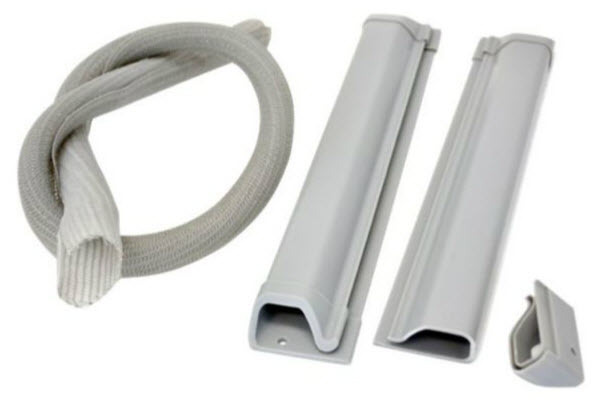 Every studio battles with this one – cables from cameras, lights, computer systems, power bars etc. scattered all over the place. This makes it awkward to move around the studio without tripping over cables or constantly moving and rearranging them. Where possible use cable management systems to organize the cables. Attach cables to the photography table. Position the photography table close to outlets to minimize cables. Do what you can – a clean studio that is easy to move around in maximizes productivity and provides a safe and enjoyable work environment. 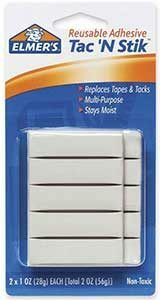 There are many ways to go with cable management systems, here is an inexpensive product from Staples. There are also custom solutions that can get very elaborate and cost much more. We have all worked in small, cluttered photography studios – it can drive you crazy. Half your day seems to be occupied with moving equipment and product so you can do your job. Bumping into lights and camera stands, tripping over everything, contorting your body laying out product on the table, twisting around to hold the product while looking at the computer screen, and the list goes on. One of the best ways to alleviate these frustrations is SPACE. The more space your studio has the better. Space allows you to create stations for your product workflows, to move your lights easier and faster, to access your computer and monitors during and after photography, and to position your product on the table with ease. Adequate space simply makes you more productive and is a better environment to work in. Post-it notes are a must-have for any photography studio. 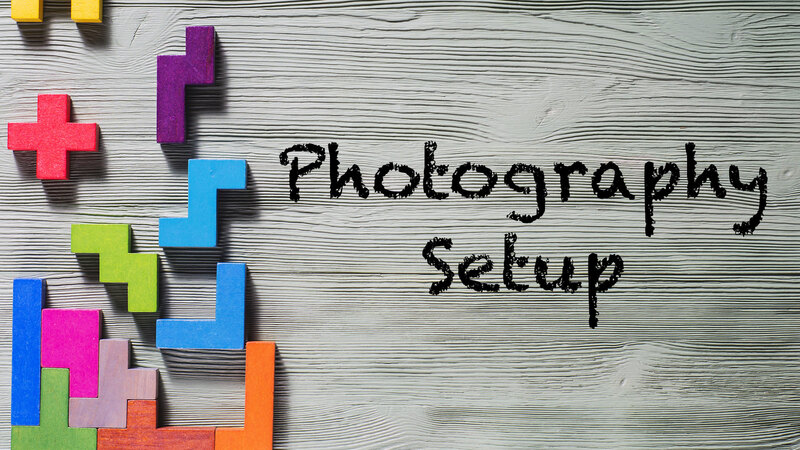 Place notes on product storage shelves to let the photographer and assistant know that the products belong to a specific group or project or have a certain status in the production workflow (e.g. ready for photography, have been photographed, need to be reshot). Assistants that prepare products for the photographer write product numbers on the post-it notes when they place them on the table close to the photographer. The photographer can then enter the product numbers quickly into their production software prior to photography. Label products that are high-priority. Label products that require a specific image view e.g. top and bottom views are taken, needs close-up view. Post-it notes help you stay organized. Have lots on hand. Efficient product preparation is a critical component in the product photography workflow. The photographer’s job is to take high-quality product images as quickly and as consistently as possible throughout the day. If the photographer is focused on product photography only and not on other distracting tasks like cleaning and preparing products or moving products from one area of the studio to another, your production rates will increase. Whenever possible assign an assistant to each photographer. The assistant can handle many tasks that are distractions to the photographer. Arrange products by size, weight, and image views required. Label products with the product number. Move products from one area of the studio to another. Although there is an upfront cost to using photography assistants they will allow the photographer to focus only on photography which, in the long run, will lower your production costs. 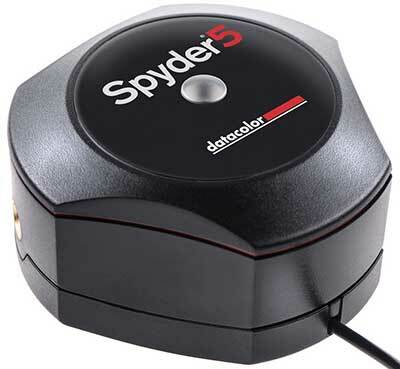 High quality cameras pickup all details including lint, dust, debris, or finger prints left on the product. Make sure when the assistant is preparing the products for the photographer they use natural and mild cleaners and cloths that do not leave lint behind. Wear latex gloves to avoid leaving fingerprints on the products. Using the right cleaning products will make editing faster, improve quality, and lower production costs. Minimize idle time wherever possible. When one process in the workflow is running, make sure you are using this time to move another process forward. It is not uncommon for computer systems to take time opening images in Lightroom and exporting them to your Photography Management software. Use this idle time to lay out the next product on the photography table or to prepare the next group of products for photography. Most high-quality product images require a 100% white background. In order to minimize editing time try to get the background as white as possible during photography. Use clear or translucent table tops. Use plexi / acrylic props. Use clear / translucent table tops: Order 8’ x 4’ sheets of clear or translucent plexi and ask the plastics company to cut the sheets in half. If you use 4’ x 4’ tables you will have a second sheet as a spare or you can use it on another photography station. Ask the plastics company to sand the edges so they are not sharp. Do not ask for the edges to be buffed, this is different than sanding and more expensive. Place a strobe on a backlight stand under the table and set the power to low. With the plexi table top, the strobe under the table will blow the shadows out. This produces very clean, high-quality images. The downside with this setup is the cost –a full 8’ x 4’ sheet of plexi will cost $300+. Use plexi / acrylic props: Buy light-weight plexi containers at your local craft store and design and contract out complex props to your local plastics shop. These will cost more but will save you considerable time when editing. We have an assortment of plexi props – triangles, squares, rectangles, cylinders, all various sizes and thicknesses. Plexi props are great – they are easy to use, reduce glare on the products, and are fast to remove in postproduction. Products arrive at the studio. Products are sorted and moved to shelves based on groups (size, weight, etc.). Products are moved to preparation tables. Products are prepped and moved to photography stations. Products are moved to staging areas after photography and before being returned to inventory. Products are moved to the ‘return to inventory’ area. Products are picked up and returned to inventory. The easier and faster you can move products the better. What really helps is WHEELS. Bins, tables, shelves, carts, – all on wheels. This will make product movement easy and quick saving you considerable time and money. 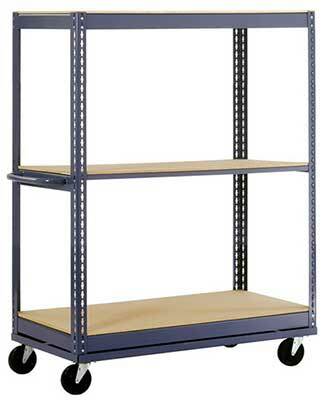 Below are some examples of some carts and shelves on wheels. They can range from cheap, under $50, to expensive, more than $500. 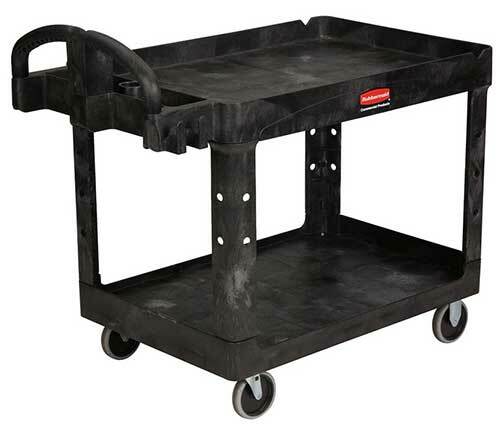 Here is a good heavy duty rolling cart, can handle ton of weight, high quality but very expensive at $468.00 on Amazon. 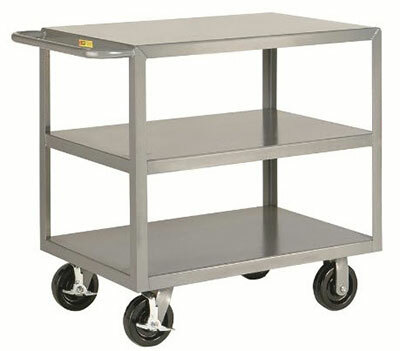 This two-shelf commercial rolling cart is also good, handles 500 pounds, and a good deal at $190 (on sale at Amazon). Here is an example of a steel heavy-duty rolling shelf unit, this would work well for moving product around the studio, $190 at Amazon. One photography station will not accommodate all products. Some products are small requiring a small station configuration whereas others are large and heavy requiring a completely different configuration. And changing your setup constantly to accommodate different products is time-consuming. This scenario requires a standard photography station to accommodate 75% of your products AND a second station for the rest. In this scenario I recommend a 4’ by 4’ tabletop setup to handle small to medium size and weight products and an 8’ by 4’ tabletop setup for all other products. In this scenario you would have a separate photography station to accommodate different products without having to swap equipment and reconfigure stations. This scenario requires more studio space and money. This would be a 3 station setup. Small Product Station: For small products it is best to have a waist high or slightly lower table that is between 3’ x 3’ or 4’ x 4’. This makes it easy to lean over and position the products in the center of the table yet it is big enough to accommodate slightly larger products. We use a 4’ x 4’ setup as out standard product photography table. Large Product Station: When your products are larger than 3’ or 4’ high or wide you will need a longer and maybe even wider table. This gives you more space to layout complex and large products. These tables should be low, around 24”, for two reasons: 1) it is easier to layout and position your products, and 2) you will need your camera high and your table low in order to capture the entire product in the image. We use an 8’ x 4’ table, 18” from the floor with a 9’ camera stand. This allows us to capture the entire product in the image. Heavy or Very Large Product Station: When you have products that are larger than 8’ x 4’ or heavier than 50 pounds you may want a floor based station. This station can be as large as you need it to be, made from white counter-top material (inexpensive). You camera can raised to the top of a 9’ stand or you can use another methods to raise the camera. Setting up studios is dependent on both available space and budget. Do what you can to minimize reconfiguring studios when products change. This will save time and increase production. Why a camera stand and not a tripod? Tri-pods are finicky to use and handle. They get in the way when moving around the studio. They cannot be precisely adjusted. The camera can move when the tripod is bumped. They only go up and down, not in and out. Camera stands, on the other hand, are stable and can be bumped with very little camera movement. You can adjust the camera up and down and in and out easily and precisely. They are on wheels and can be moved quickly. They are durable and will last many years. Of course, camera stands cost more expensive than tripods. A basic camera stand costs $1,000, a heavier duty one starts at $2,500, and they can go all the way up to $30,000. I recommend middle of the road. You can buy a very good 7’ Manfrotto camera stand for $2,500. We have several of these, they are well built and easy to use. For $3,500 there is a 9’ model for shooting larger products. Camera stands are worth the investment, and if your studio is actively photographing products you will pay it off many times over in the years to come. A gear head goes hand-in-hand with a camera stand. 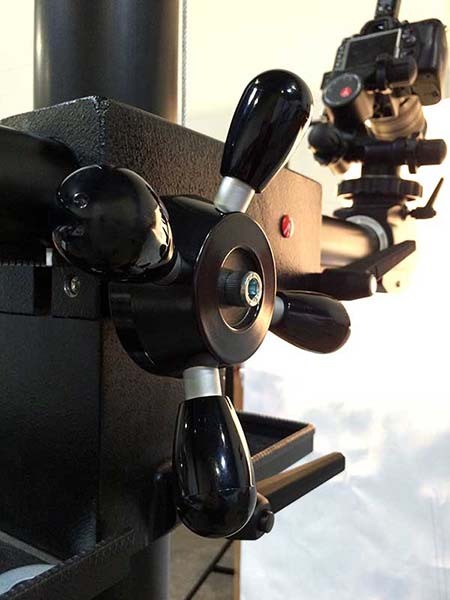 Where the camera stand moves the camera up and down, and in and out, the gear head lets you tilt, adjust, and level your camera horizontally and vertically in very precise ways. Our photographers swear by them. Here is what we use, Manfrotto 410 Junior Geared Head, excellent product for $269. Gear heads will make you more productive and allow you to produce consistent images. Money well spent without a doubt. How many times are you in this situation? You lay the product on the table. You take a front or angle shot. You change the camera so that it is directly above the product. You take the top shot. You lay out the next product. You move the camera so it is positioned to take the front or angle shot. You take the front or angled shot. This is very time-consuming and impacts daily production in a big way. With a two camera / camera stand setup this can be much quicker. You setup 2 camera stands (or tri-pods) with 2 cameras – one for the front / angle shot and one for the top shot. You take a front or angle shot with camera 1. You switch the USB cable from camera 1 to camera 2. You take the top shot with camera 2. A dual camera setup is unrealistic for small studios due to the cost (2 stands, 2 cameras, 2 gear heads etc.) but for larger and in-house studios it is something to consider. When it comes to camera gear it is best to think long-term. For example, you could buy a Nikon 3200 DSLR camera for $500 thinking it will be just as good as a Nikon 7200 at $1,500. They both take pictures at 24 MP and the 3200 is a $1,000 cheaper. But the truth of the matter is the 7200 is a much better camera. It has more functionality, it takes better pictures, it has a more durable build, and the list goes on. When you amortize that camera over 10s of thousands of images, the additional costs becomes small. Think long-term and buy the best camera you can afford. Zoom lens: You will probably take most of your product shots with a standard zoom lens – either an 18-200mm or a 24-70mm – depends on what you are shooting. Macro lens: You need this on hand for close-up shots of your products. As far as the quality is concerned better glass takes better pictures – they are clearer, have better color, and are more detailed. The issue is – better glass is MUCH more expensive. For example, you can buy a Nikon 7200 camera with a DX NIKKOR 18-140mm f/3.5-5.6G ED VR lens for $1,500. If you take pictures with this combo and then switch out the lens and take pictures with a Nikon AF-S NIKKOR 24-70mm f/2.8G ED lens which costs $1,750 (the new version just released is $2,400) you will see that the 24-70 takes much better images. Is higher quality images worth the extra money? A question only you can answer. For portrait photography, there is a healthy debate between which lighting approach is better – strobe or continuous. Strobe was winning the debate for many years but it appears that, with the technology changes in continuous lighting (they run cooler and are brighter), strobes are losing ground. The debate is much less robust in the product photography arena – strobes still seem to rule the day due to their power and brightness. Shoot at a lower ISO: By doing this you can stop down the aperture increasing the depth of field (which translates to more product in focus) and produce a sharper image with less noise and grain. Use a fast shutter speed: This will reduce the impact of ambient light. There are lots of good strobes on the market. 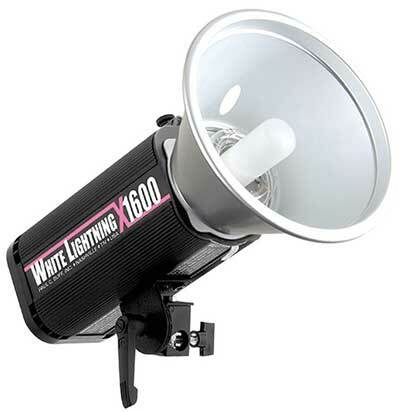 We use Paul Buff’s White Lightning x1600 strobes. They are powerful, reliable, and the support if excellent. 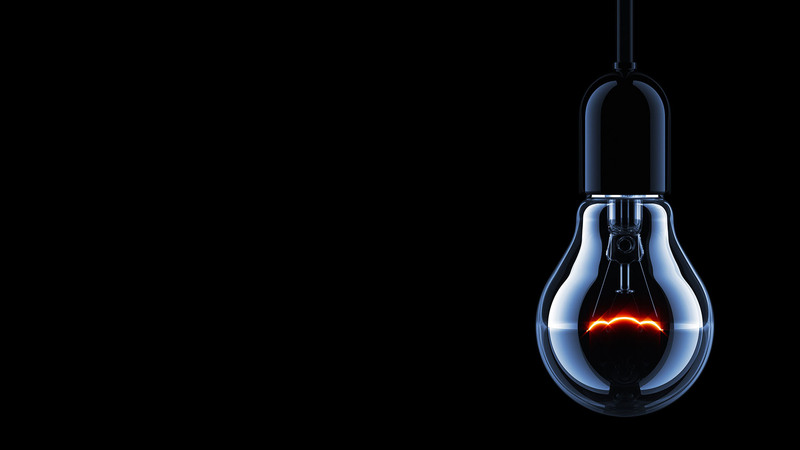 When you encounter shiny and reflective products glare can become a big issue. There are techniques to minimize glare but they can affect the look of the product in the image. A good approach is to use a polarizer. They reduce glare without affecting the image quality. 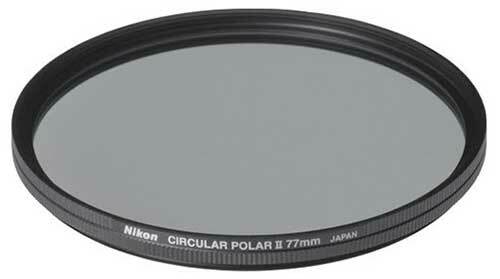 You can get a good lens polarizer for between $65 and $150. If you are shooting really shiny products you can add polarized gel sheets to your lights. These are not cheap but they do help. Reducing glare can save you a lot of image editing time, it is worth the investment. A photography table with a plexi top. Lighting around and below the table. A camera stand with a geared head. A computer on a workbench beside the table with two monitors – the one closest to the table running live view so the photographer can see the product as it is positioned on the table. The problem with this setup is that when you are ready to take the picture you need to move away from the table to the computer or camera to fire the shutter. A camera remote control lets you take the picture right when the product is ready. This saves time and adds to a more fluid and productive workflow. 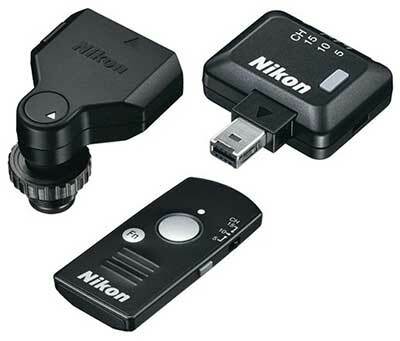 Below is a camera remote control unit for most Nikon models, you can pick it up for under $200 at B&H. This is an easy one – work on AC whenever possible not on batteries. Batteries have to be swapped out during the day and can die at the worst time. 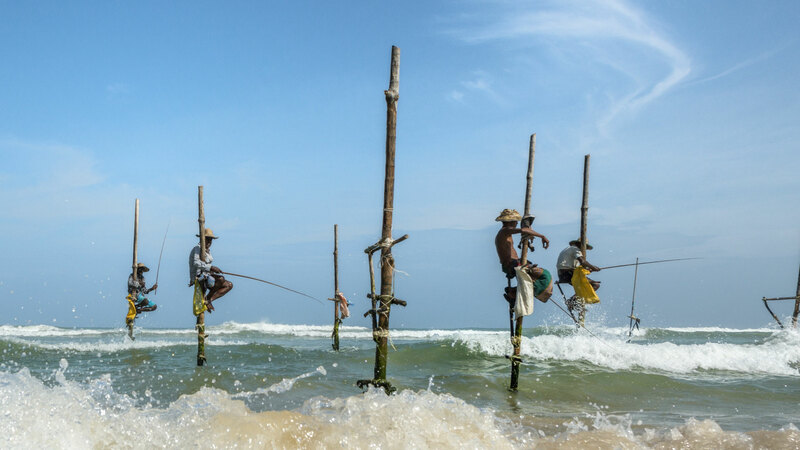 Waiting for Lightroom to process images or export them to your Photography Production software or twiddling your thumbs while Photoshop does its thing is a waste of time. Lost or idle time adds up over an 8-hour day. Save idle time by having a powerful computer. Plan for a system that can handle Lightroom, Photoshop, camera control software, product photography production software, and even 360 product imaging software running at the same time (if applicable). Don’t let IT pass you down a retired desktop or laptop. This aligns with the common misconception that photography studios are just snapping pictures and a fast computer is unnecessary. The studio computer does heavier lifting than people with the budgets think. Push for a good, modern, powerful system, it will help production considerably. We use a dual monitor setup on all our photography stations. Minimize contact with the computer: You can have software applications displayed on both monitors that you can easily glance at while working with the products. You are able to stay at the table working with the product without having to move back and forth to the computer. This saves huge time over the course of the day. Increase production: You can see the product in the camera control software when you position it on the photography table. This allows you to get the product exactly how you want it before you leave the product on the table to fire the camera. Very efficient. If you add a camera remote control to this process you will be even more efficient. Monitor 1 (furthest from the photography table): displays the software you are using to catalog and manage the images you capture. 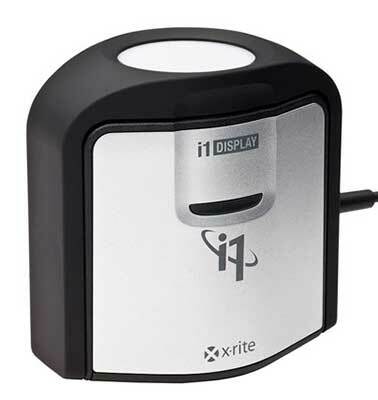 This monitor will also run Photoshop or Lightroom for post-photography editing and applying pre-sets or actions. Monitor 2 (closest to the photography table): displays the camera control software for live view and ghosting. You can get a good quality monitor for $200, your increased production will pay for this in no time. 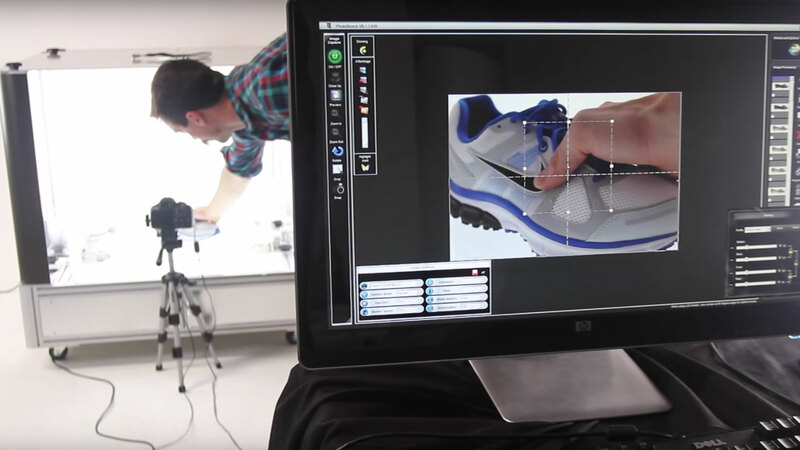 When it comes to accurate product images you have to consider both input and output. Input: This is what your camera sees. Output: This is what you see in your monitor display. As a product photographer you are responsible to ensure that both the input and output are accurate and true. The accuracy of the input is addressed by setting the camera’s white balance – discussed later in the article. The accuracy of the output is addressed by calibrating your monitors. A calibrated monitor shows you true images with accurate colors. No second guessing colors or tones. No wasting time adjusting the image after photography. No issues with tired eyes as the day progresses. What you see is accurate. The monitors the image editors work on should also be calibrated to adjust for their work environment. Calibrated monitors for the image editors makes editing faster – they do not need to waste time messing with subjective colors and tones – the images are always true and accurate. Both are very good, you can’t go wrong with either one. The cost will be between $150 and $250 depending on the model you choose. Bottom line – calibrate all monitors (photographer’s and image editor’s) in the studio daily or at least a few times per week. It is well worth the 15 minutes it takes. Foam board is a tool-of-the-trade. I recommend both white and black. White works great as a reflector if you want to put some highlights on your product. Black works great when you need the edges of the product to show up better in the image. You can buy foam core board from several places. The cost is approximately $5 per 32” x 40” sheet in quantities of 25. You can cut the sheets based on your needs. The purpose of a prop is to ‘prop’ up your product so you can effectively shoot it. They should never add color or reflections to the product. These show up in the image and have to be removed in post. Use only black, white, or clear props. We use clear plexi or acrylic props, they are strong and neutral (they do not show in the image). In a given day you may change product groups 5 or 10 times, depending on the project. 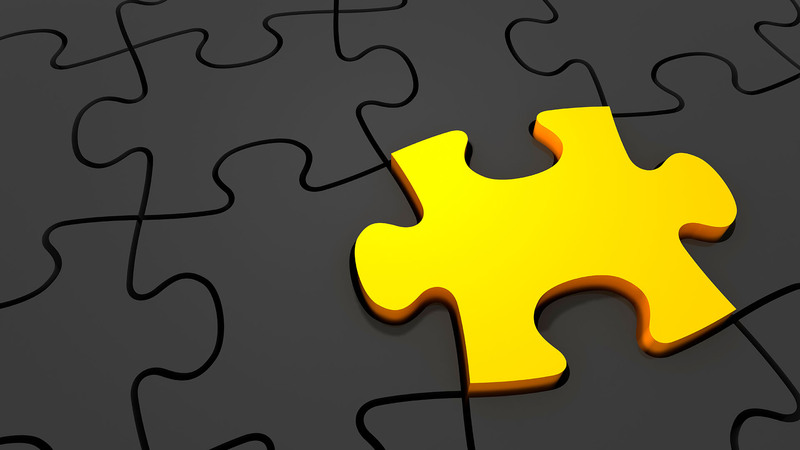 These product groups can vary considerable in weight, shape, and image views required. For some products you will want to suspend them in order to capture the image views required. The key tool for suspending products is c-stands – one on each side with something like fishing line between the stands. C-stands are adjustable, can be easily moved, and when supported with sand bags are very stable. Have a few of stands on hand to use for suspending products. 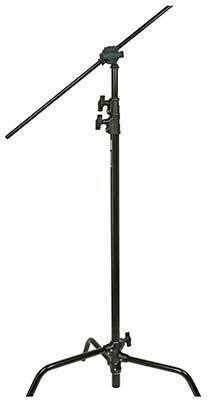 Avenger is a quality brand and makes good C-stands, a bit costly at $215 but they will last ages. To productively photograph products you need easy access to various tools and accessories. They help you clean, stage, label, prop, and position products. Air puffers: Studio environments are often dusty, have an air puffer handy to clean your lenses quickly and easily. 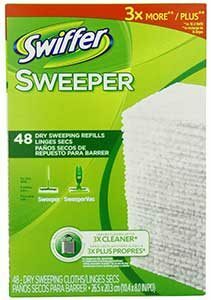 Swiffer pads: These can be very useful in a studio for cleaning the photography station, table, and products. 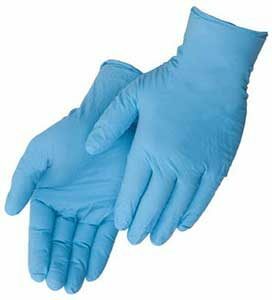 Latex gloves: It is best to handle products wearing industrial latex gloves, this eliminates fingerprints showing up in the images. Have a box of latex gloves at the ready. A level: At times it is important to level your product horizontally or vertically on the photography table. A standard level from any hardware store is all you need. 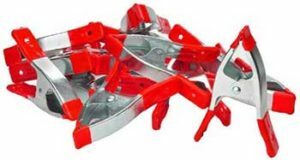 A box-cutter: For opening product boxes and packages, cutting foam board, cutting background paper etc. – a box-cutter is a must have. Scissors: No one thinks they need scissors until they do. Have a pair handy in the studio, you will use them. 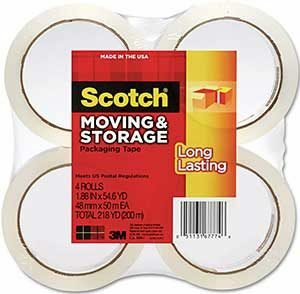 Assortment of tape: Use tape to close packages and boxes after photography; to fix background paper in place; to secure props; to attach notes and labels to shelves, tables, and products; and the list goes on. Stick tack: This is mostly used to prop, position, and stick products to the photography table. Stick tac is available in various colors, white is the best. 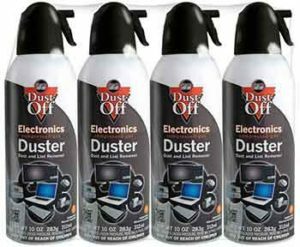 Canned air: You use this to quickly blow the dust from your photography table, equipment, monitors and laptops, and products. Canned air is an extremely useful in a studio. Hooks: These are great when you are hanging products from a cross-line – hooks help suspend and balance the product. 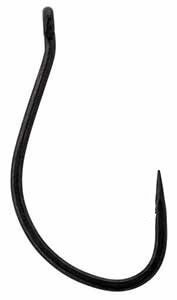 Various sizes of fishing hooks work great. Spring clamps: It is good to have various sizes of spring clamps at your photography station. A few common uses include holding foam board next to the product (for edges and highlights) and holding background paper in place. Milk glass: You will use this more than you think – flip it upside down and place your product on the bottom. It makes for a perfect prop allowing you to elevate the product and to minimize or eliminate the table showing in the image. Silver reflective cards: These are helpful when the product does not have enough light on it or it needs a highlight for emphasis. An excellent use for spring clamps is to hold these silver reflective cards in place on the photography table. Fishing line: Use this line when you need to string a cross-line between 2 c-stands or when you need to hang products from a cross-line. 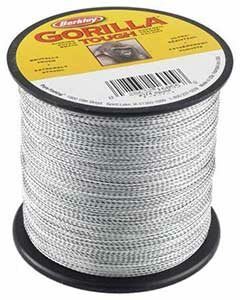 The beauty of fishing line is you can buy various strengths depending on your needs. Always good to have around. An image with a product in the middle and tons of white space around it is a big mistake. Best practice – fill the frame as much as you can with the product leaving enough space to crop the image with 10 to 20 pixels of white space around the edges of the product. Your master image, the image that you be using as your base to create and format lower resolution images, should be as big as you can make it with the camera equipment you are using. This gives you the most options in the future when you want to create copies of the images in various file types and resolutions. Don’t make the mistake of wasting image real estate – fill the frame and maximize the product in the image, you will be glad you did. 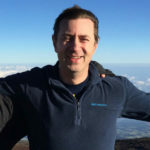 Another big mistake – leaving things in the image that are NOT the product. For example, leaving foam board or propping materials in the image that is not doing anything to highlight or prop the product. Wasting image frame space: You are not maximizing the product in the image – the unnecessary stuff in the image is taking frame space away from the product. Increased image editing costs: The editors will have to waste their time removing these items from the image. This may involve some back and forth with the photographer to determine if the item is part of the product or not. Lost sales: The editors may think the items are part of the product and they leave them in the image. These images are then published to your internal and your customer’s ecommerce sites. 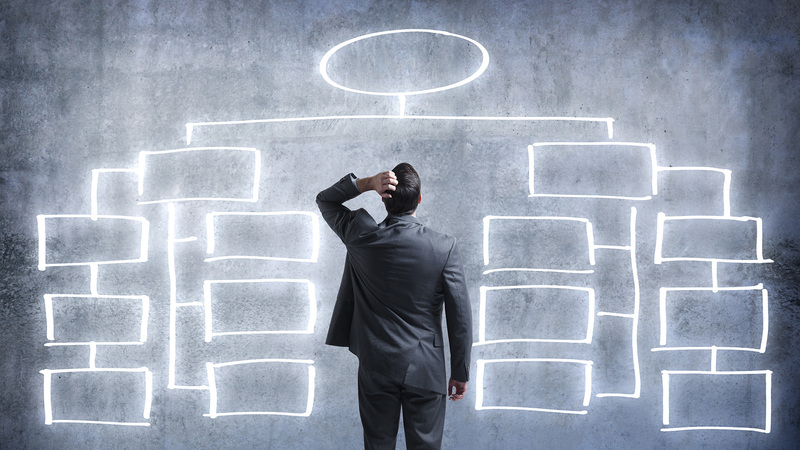 This can negatively impact sales. Be careful to remove all unnecessary items from the image. A small or narrow aperture is very important when it comes to most product photography. The main reasons for this is depth of field and detail. When you are shooting products of all different sizes and shapes it is a constant challenge to get as much of the product in focus as possible. The key is to use a bigger f-stop e.g. f/22. The smaller / narrower aperture will allow you to capture all or most of the product in focus. 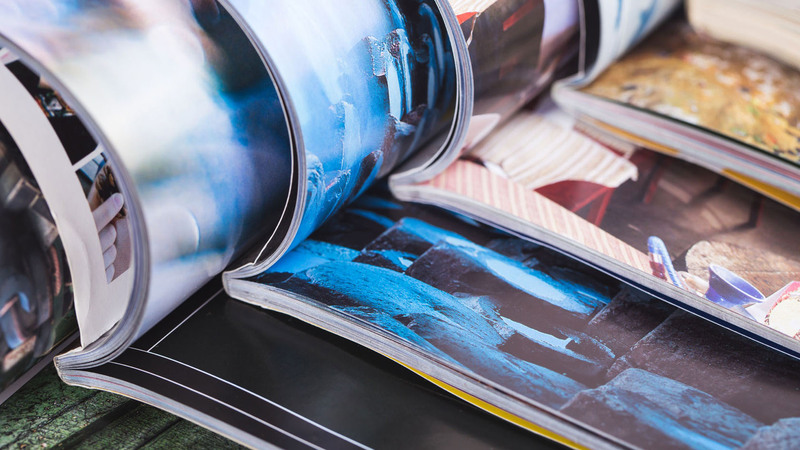 Quality images have a big impact on sales – try to keep the product in focus as much as possible. 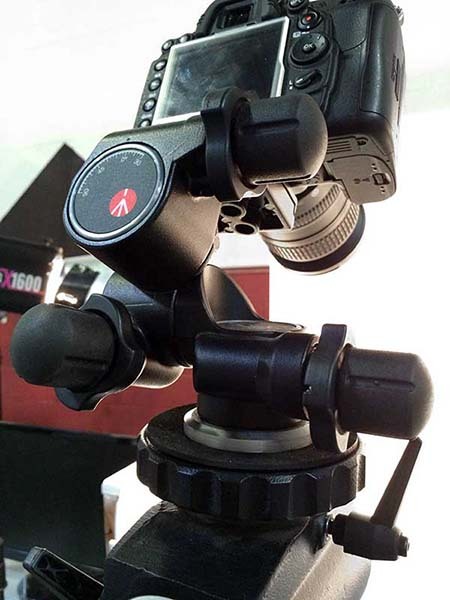 Getting the camera to focus on some products is a challenge and can be time-consuming. You try and focus but the camera just can’t grab enough product to set the focus. Write the word FOCUS on a piece of cardstock using a sharpie and have this in your toolbox beside your photography station. When you encounter one of those stubborn products that just won’t focus, place the ‘FOCUS’ cardstock directly in front of the product, focus the camera, and remove the cardstock, and take the picture. As I pointed out in tip #26, calibrating your monitor sets the accuracy of the image output – this is what you see when you look at an image on your monitor. The other ‘image accuracy’ piece you need to control is what your camera sees. You do this by setting your camera white balance. Setting the while balance tells the camera what pure white is, this allows it to calibrate for all colors. The best rule of thumb is to set your white balance daily AND whenever the conditions in which you are shooting changes e.g. you change your lighting or the studio environment changes. What happens if your camera is not seeing things accurately? Your image editing costs will increase. When editors see images that are not accurate when compared to the actual products they start adjusting colors and tones. This is a subjective guessing game resulting in inconsistent images especially when you have more than one editor working on the images. Inaccurate images show up in the marketplace. When the images are inaccurate AND the editors do not adjust them they end up in the marketplace. Buyers will be viewing and making purchase decisions based on images that do NOT accurately represent your products. This could result in lost sales and higher product returns – very costly! Each camera does this slightly differently – follow the steps for your camera. You can use a special white lens cap, hold up something white in front of the camera, or shoot a grey card. 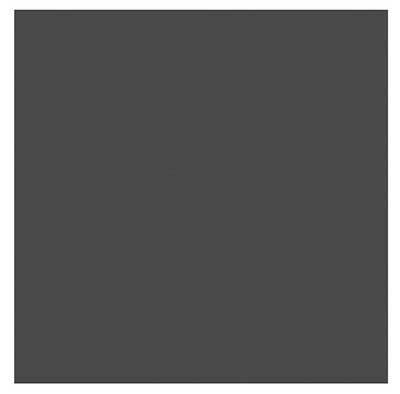 If you are using an application like Lightroom you can set your white balance by taking a picture of a grey card and then using the white balance function in Lightroom to set it for your images. In Lightroom you can also apply the white balance to a set of images with the sync function. Watch this video by Phil Steele, who runs Steele Training, he shows you how to set the white balance in Lightroom. Setting your camera’s white balance is simple, do it regularly and save yourself time, cost, and headaches. Well there you have it, 35 tips that will help you operate a more productive and efficient photography studio and produce higher quality product images. I am sure that you are already using many of these tips but hopefully some are new to you and will be helpful. Do you have some tips that should be added to this list?